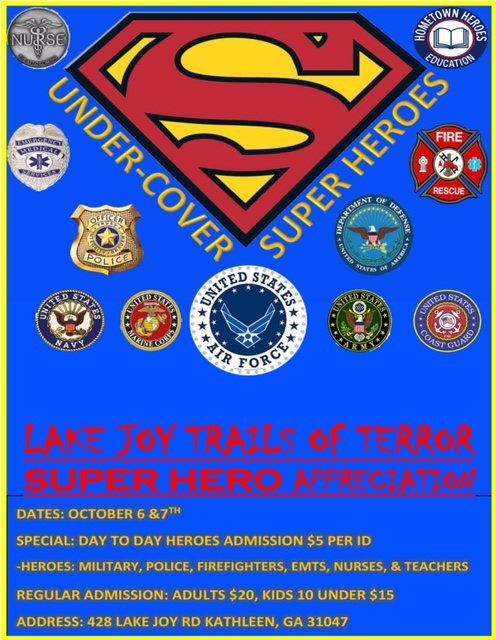 Come out for the scare of your life at Lake Joy Trails of Terror! The haunt is in the woods, be prepared to walk, and wear closed toe shoes. Dark areas, come prepared to be scared. Remember this is the woods and mother nature is out in the woods, also roots, unlevel ground that is how mother nature plays. No touching or messing with props (any property of Lake Joy Trails of Terror) or staff, NO PROFANITY OR BEING RUDE TO STAFF YOU WILL BE ESCORTED OUT WITH NO REFUND. Stay current on updates, savings & more by signing up for our newsletter!